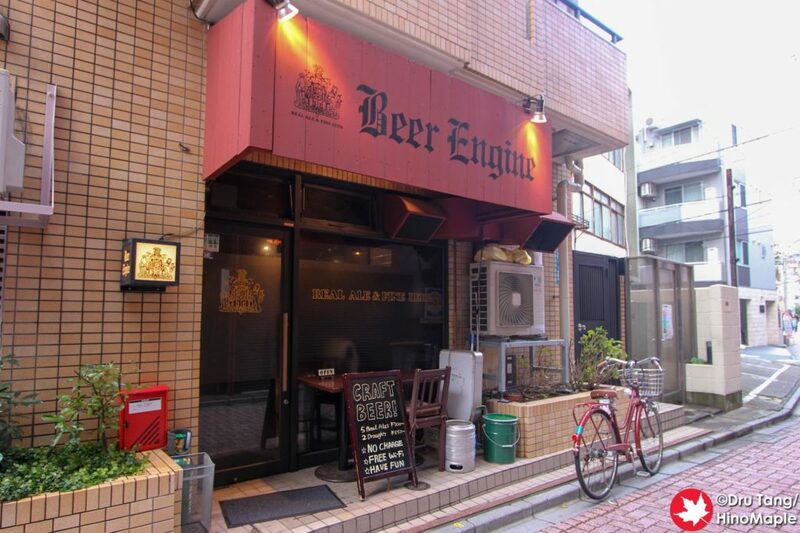 Beer Engine is a cool bar just a few minutes from Koenji Station. 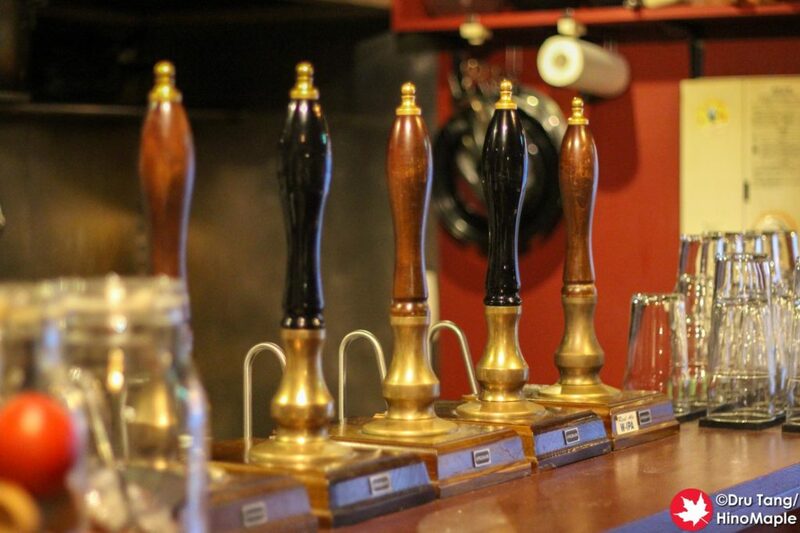 As the name implies, they focus on having beer engines, hand pumped and cask conditioned beer, for real ales. The bar is really old school with a friendly master. There is a mix of locals and tourists who visit this bar, but you really have to visit if you are a lover of real ales. 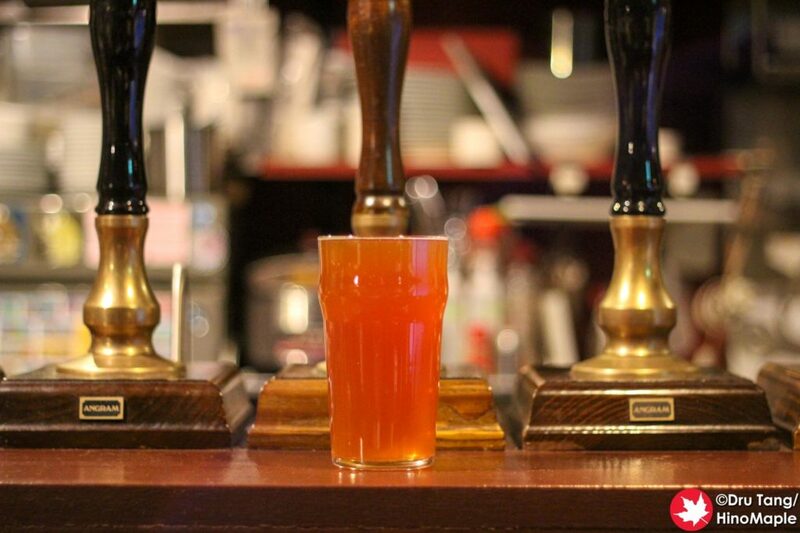 Real ale is a cask conditioned beer that is more popular in the UK. The beers have to be at the right temperature, usually a bit warmer than your standard beer, and the carbonation is lighter. This style of beer tends to lend itself to maltier beers as the character of these beers really shine as real ale. Beer Engine is a place for people who love real ales as they have 5 real ales on tap at all times, with 2 to 3 regular carbonated beers on tap as well, if that is your preference. When you walk into Beer Engine, you’ll be hit by really cool old school ska music along with the dark atmosphere. It is a really dark place that sets a very warm mood. 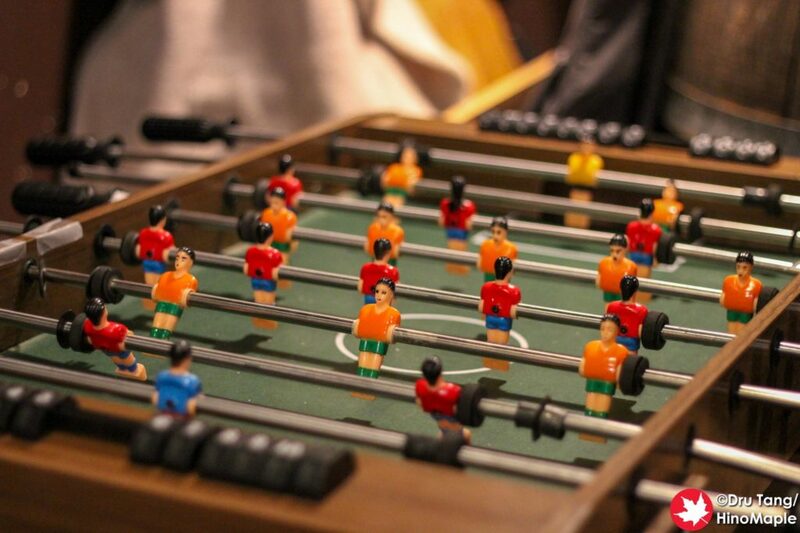 They even have a foosball table in the back, although it has been broken and repaired many times. The master is really friendly and I hear the locals really love the place. They usually show up a bit later in the evening as many visit on their way home. I didn’t get a chance to eat at Beer Engine but they did tell me they have curry Fridays and they do serve a variety of snacks. I doubt I’d go for the food, personally, but a friend of mine said that the food is pretty good. I personally think that beer is a good meal on its own, especially when you think of it as a bowl of cereal. Beer Engine is a really cool place and I can’t wait to go back again. 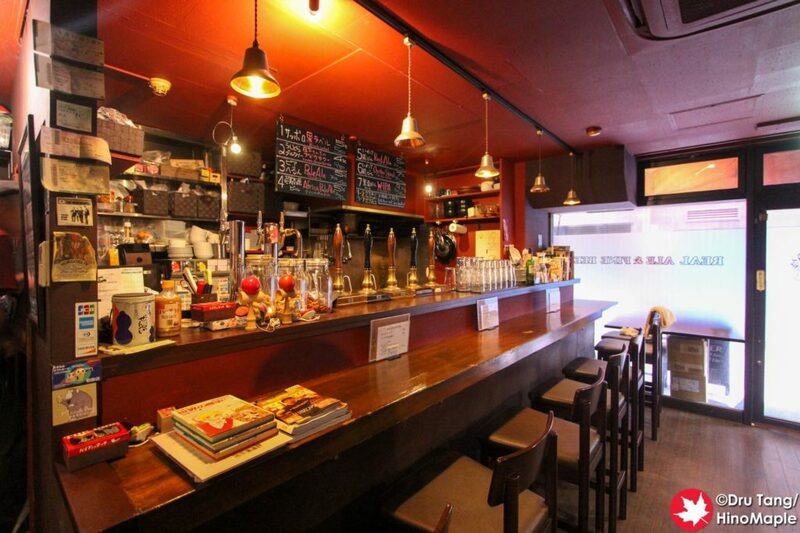 Koenji is a little far for me to visit for beer, at least on a regular basis, but you can be sure that I will definitely stop by if I have a chance in the future. The beer selection is really good and the atmosphere is perfect for what I like. If I lived in the area, I’d be in a lot of trouble as I’d be there almost every night. 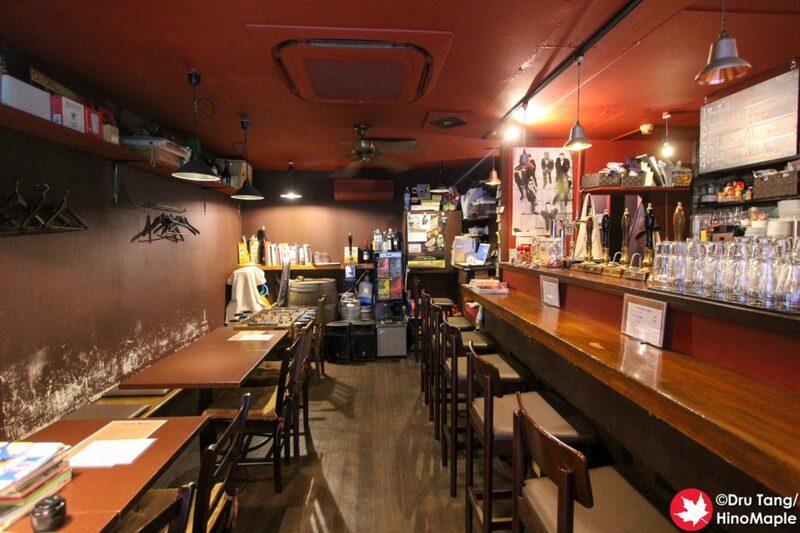 This entry was posted in Kanto Food and tagged food, japan, Koenji by Dru. Bookmark the permalink.